David Morgan takes a closer look at the ARC accent range from Soraa, a new line of luminaires built around its LED engines and optics. 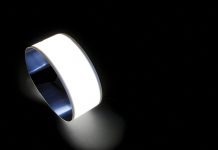 Only nine years after Soraa was originally set up to commercialise the production of white LEDs based on Gallium Nitride on Gallium Nitride (GaN on GaN) LED technology, the company has now launched a range of luminaires incorporating their LED light sources and light control components. The Soraa story started in 2007 as a team of pioneering professors from the worlds of engineering and semiconductors – Nobel Prize winner Dr Shuji Nakamura, inventor of the blue laser and LED, Dr Steven DenBaars, founder of Nitres, and Dr James Speck of U.C. Santa Barbara’s College of Engineering – came together with funding from Vinod Khosla to develop and commercialise GaN on GaN technology for LED lighting. In the short period since Soraa was formed, the company has been very successful at creating awareness and demand for the superior light quality of their retrofit lamps and light engines that give a lit effect very close to halogen lamps. Soraa is now a recognised and established supplier of high quality retrofit LED lamps and concentrates its marketing activity on lighting professionals to specify Soraa for retail, hospitality, gallery and premium residential projects. Having launched the company and demonstrated that the GaN on GaN technology works well, Soraa has now decided to go beyond providing light sources and has developed a range of luminaires built around its LED engines and optics. The initial offering includes a limited variety of both ambient and accent lighting luminaires. The Soraa ARC accent range, which I am reviewing here, includes spotlights, downlights and a double-wire pendant system. Two sizes are available, based around the diameters of the Soraa MR16 and AR111 light sources. All the existing Snap beam shaping, colour temperature adjustment and glare control accessories can be used with the versions fitted with the Snap 10-degree lenses. In terms of light quality, output and lit effect there are no big surprises from these products since the various luminaires incorporate the same light sources and folded prism optics used in the Soraa retrofit lamps and light engines. The light quality is as close to halogen as I have seen from any LED source and the lighting specifiers I work with all have good things to say about the lit effect of Soraa lamps. The range is modular so that the same heat sink casting, light engine and Snap accessories are used on all products of that diameter. The heat sink is a nice quality die cast aluminium component instead of the machined extrusion provided with the Soraa light engines and the size has been reduced to the minimum size while still ensuring safe operation of the LED source. The running temperature of the 20-watt 100mm spotlight heat sink was still comfortable to touch after a few hours. The light output from the smaller size light engine fitted with a 50mm lens is 1,000 lumens at 18 watts, except for the 10-degree Snap version, which is around twice the level from a Soraa MR16 9-watt lamp. 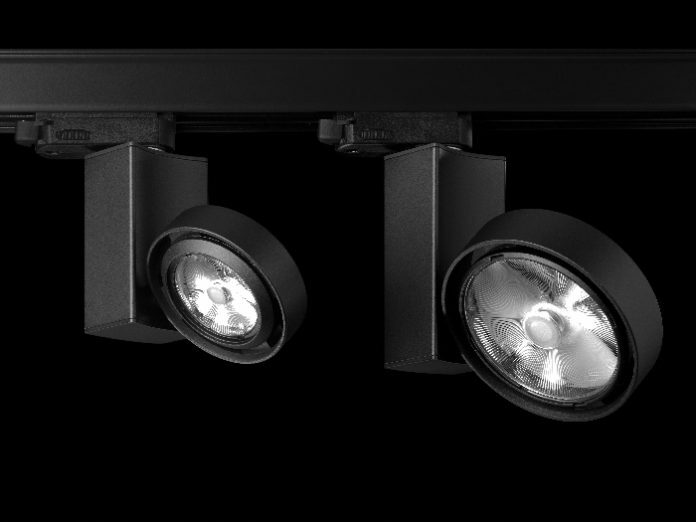 The European versions of the spotlights incorporate a side-mounted integral mains voltage driver enclosure. They are supplied with a global track adapter, which will fit into a wide range of existing installed tracks, particularly those found in retail applications. 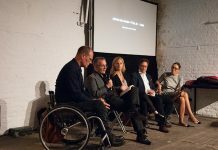 Dimming the spotlights at the moment can only be controlled by phase dimmers but it is understood that DALI dimming versions will be available in due course. Clip on anti-glare snoots in both straight and angle-cut types can be fitted to the spotlights after any Snap accessories have been first installed. The downlights are available in only one size, based on the 50mm light engine, in square and round versions with trimmed and trimless mounting options. Only adjustable angle versions are available at the moment, with a maximum aiming angle of 35-degrees. Downlight and wall-wash trims fit into the housings and are available in four colour finishes including Tangerine, which I assume provides a goldish effect. The adjustable surface-mounted projectors are supplied in two sizes and are also based on the same light engine sub assembly used for the spotlights and other products. The cylindrical design can be partially recessed into the ceiling, hiding the driver enclosure to create a slim, fully adjustable projector that can angle up to 90-degrees. At the moment, only phase dimming is available for this series. The ARC range appears to have been carefully developed to produce the widest range of options using the minimum number of components, which is pragmatic. This results in numerous versions that can be used in a wide variety of lighting applications. However, the overall design of the individual luminaires has a somewhat bland appearance. Whilst the aim may be to allow the range to be used in a wide variety of applications, in fact it does little to promote the Soraa brand or differentiate it in a crowded display lighting market. Maybe a ‘Soraa Inside’ sticker would help to point out that is not just another spotlight range. The luminaire market is unlike the light source market and often requires many variations on each theme to match each niche. Both distinctive and vanilla designs for the same type of product are often required from the same brand in order to satisfy specifiers and end-users. 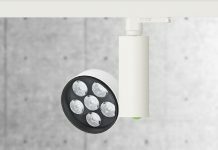 For lighting specifiers who are already familiar with Soraa, recognise the superior light quality and are looking for a simple range of spotlights, then the ARC range may well be suitable. However, I feel that the downlight range will need to be expanded to offer more sizes, higher output and other options in order to make much of a splash in this particular overcrowded market. The pendants and adjustable luminaires are both fine but are orphan products in need of a wider family. It is hard to gauge the impact of this product launch on Soraa’s OEM customers who are currently using their integrated light engines. Will these customers continue to invest in developing new products and versions if Soraa has now become a direct competitor in the luminaire market? The Soraa ARC range is well designed and engineered and is likely to succeed in specific markets but it may be that there is an opportunity to project the Soraa brand more effectively with a more refined and distinctive design. Perhaps that should be the plan for the second generation of Soraa luminaires.